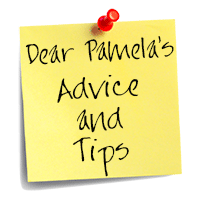 “Dear Pamela” is back to answer all your questions about memoir writing and publishing! If you have questions about memoir writing that you need answered, please email Matilda@WomensMemoirs.com. Be sure to use the Subject Line: DEAR PAMELA. How long is the process, and do I need help along the way? How do I get a memoir published if I don’t want to self-publish? How do I describe my mother in my memoir? Help with multiple points of view in memoir. A color-coded guide to constructing a novel or memoir narrative. How do I know what my story is really about? Is it vital to have a support group? How do I manage critiques in our memoir writing group? Pamela gives tips about the use of tense in memoir, and addresses whether or not to self-publish. Worries that offering memoir class will bring up too many strong emotions. Hung up on what to leave in and what to leave out of my memoir.